The dangers posed by any mold, lead, and asbestos at any aging facility can appear too complex to resolve without endless costs and disruption to your operations. With the help of Diversified Environmental Management, Inc., in Atlanta, Georgia, you get a managed approach to asbestos abatement that includes continual air monitoring and detailed training or your employees. We provide our clients with a comprehensive operations and management plan that enables the owner, where appropriate, the ability to manage the ACM in place. Our company will then provide a complete array of services for the remediation of ACM in buildings. 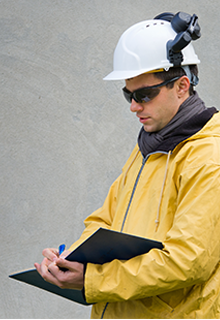 Included in these services are specifications, drawings, and project management during the abatement process. To ensure a safe environment, our team will conduct air monitoring in all areas with the help of IOSH 582 certified personnel. We will also provide AHERA-required, three-day employee training. 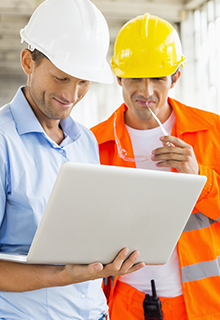 This includes an Inspection/Management Planner refresher course, and AHERA/Hazardous Communication training for two hours and 16 hours with custodial and maintenance personnel. At the conclusion of every inspection, Diversified Environmental Management, Inc., will prepare a report for the owner that includes test results of asbestos found and a hazard assessment of the asbestos noted during the inspection. Any applicable laws or regulations (OSHA, EPA) that pertain to the situation are disclosed as well. 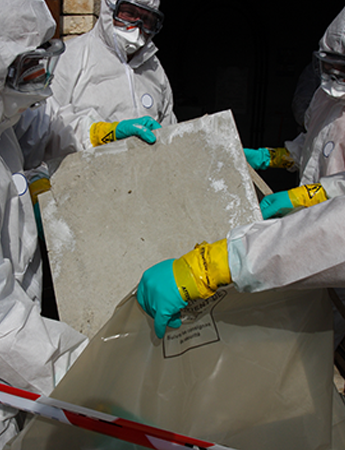 In many cases, our inspections determine that there is either no asbestos present in the building, or the amount found only requires an operations and maintenance plan to keep it non-hazardous. In this instance, we will prepare the operations and maintenance plan for the owner and provide the ongoing training needed for employees. This training ensures the non-hazardous materials remain that way. We first establish priorities and determine where the most severe problems exist. Our final survey report then recommends the most financially advantageous sequence for dealing with them. Very often, we can recommend safe solutions that avoid the cost of removal and the cost of replacing removed materials. When removal is unavoidable, Diversified Environmental Management, Inc., finds the best possible procedure.